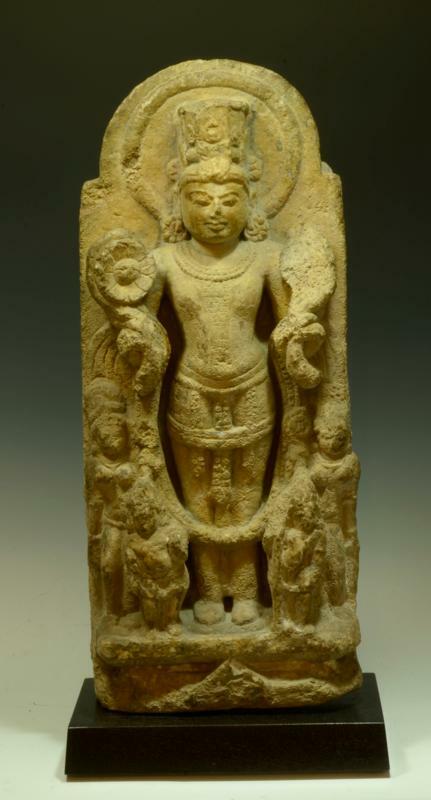 An arch shaped schist stele relief carved with Vishnu standing in sampada with lotus bud in his hands, crowned head and wearing a dhoti adorned with jewelry and draped with floral garland, flanked by male and female deities. Height 23 inches + custom wood mount. Ex Collection of Drs. Saul Tuttman and Gregory Siskind, NY. Acq 1970s.